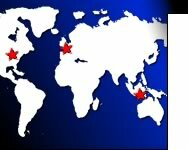 MPD, Inc. -- Holding company of subsidiaries that manufacture breath alcohol testing instruments, traffic radar products, and microwave, ceramic and metal components for federal, state, local, and foreign government agencies worldwide. We put technology to work. MPD ESOP - What is it? The MPD, Inc. ESOP, like over 11,000 other ESOP companies nationwide, provides a way for its employees to have a "beneficial" ownership in the Company. Each year, ESOP stock is allocated to employee participant accounts. A value is established for the stock and that value is dependent on the overall success of the business. This way, the efforts of each employee can have a direct and lasting effect on his/her own future benefits. 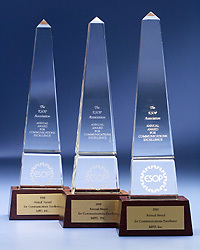 Pictured are MPD, Inc.'s first three AACE awards. MPD, Inc. is a member of The ESOP Association and has been recognized for its efforts in communicating the ESOP concept to its employees and educating them on its value. Over the past five years, MPD has won four first-place awards in The ESOP Association's coveted Annual Award for Communication Excellence (AACE) competition. 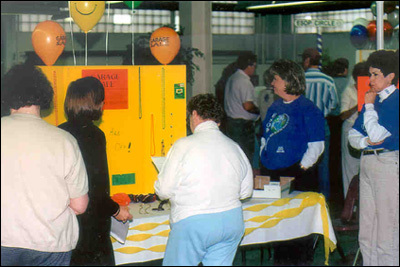 In 2001, MPD, Inc. received the Group Excellence Award by The ESOP Association's Ohio/Kentucky Chapter and in 2002 it was honored as Company of the Year by the Ohio/Kentucky Chapter. MPD, Inc.'s Ohio/Kentucky Chapter ESOP awards. MPD, Inc. employees attend a variety of regional and national workshops, seminars and conferences throughout the year to stay abreast of issues that affect the ESOP or learn new information about administrative and regulatory topics. In addition, several employees have spoken at regional and national ESOP programs. The MPD, Inc. ESOP Participants' Committee. 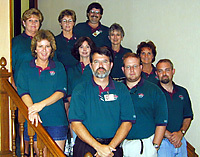 Responsibility for educating employees about the ESOP and communicating its value rests with a ten-member committee called the ESOP Participants' Committee. The committee sponsors a monthly "Brown Bag" Lunch where employees review the income statement, discuss new products, recognize new employees and expand on other ESOP and business issues. 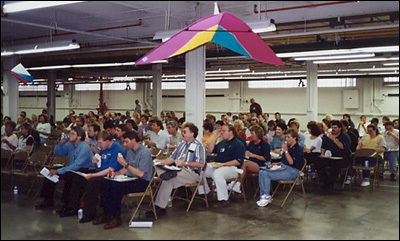 MPD, Inc. employees learning about the company at a "Brown Bag" Lunch. The committee also presents a periodic program on "ESOP Basics" to new hires, sponsors a secondary training program to other employees, an Annual ESOP Participants' Meeting and special events during Employee Ownership Month. The committee employs a multitude of other teaching tools including games, puzzles and newsletters to name a few. MPD, Inc. employees play a game to learn more about their ESOP. A second committee - the MPD, Inc. ESOP Administrative Committee ensures the ESOP is administered in compliance with the plan document. Among other things, this five-member committee reviews the annual allocation process and approves benefit distributions. 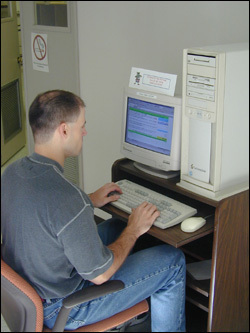 An MPD, Inc. employee estimates his future ESOP account. MPD, Inc.'s ESOP stock has increased significantly in value since 1997. To illustrate the potential future value of the ESOP, an Excel-based program was developed to project a participant's future ESOP account, using certain assumptions. The Individual ESOP Account Estimator has been a valuable tool in helping employees understand the potential the ESOP may have in store for them. www.esopassociation.org or www.nceo.org or contact any member of the MPD, Inc. ESOP Participants' Committee at ESOPParticipantsCommittee@mpdinc.com. ©2002 MPD, Inc. - All Rights Reserved.